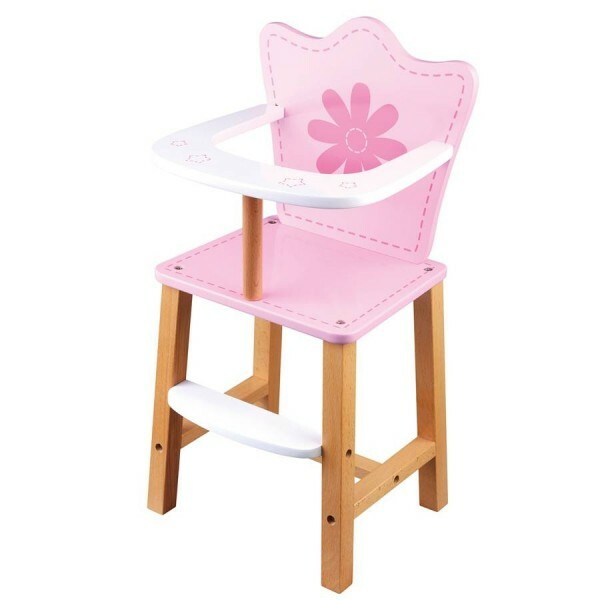 Pop your baby doll in time for feeding and make sure they have somewhere special to sit in this beautiful Star Baby High Chair. With nothing left out, it has a realistic built in tray to place your baby doll's plates and foods and make playtime easy as can be. It's sure to give your little one endless hours of make believe and role-playing fun! Gorgeously designed and wonderfully realistic, it's sure to be the first accessory your little one reaches for when playing with her favourite companion. It’s made with high sturdy wood to exceptional standards of quality and safety, so you can be sure it is a durable toy that will last a childhood and beyond. It's a delightful toy, full of quality and style, that's going to delight anyone who receives it.